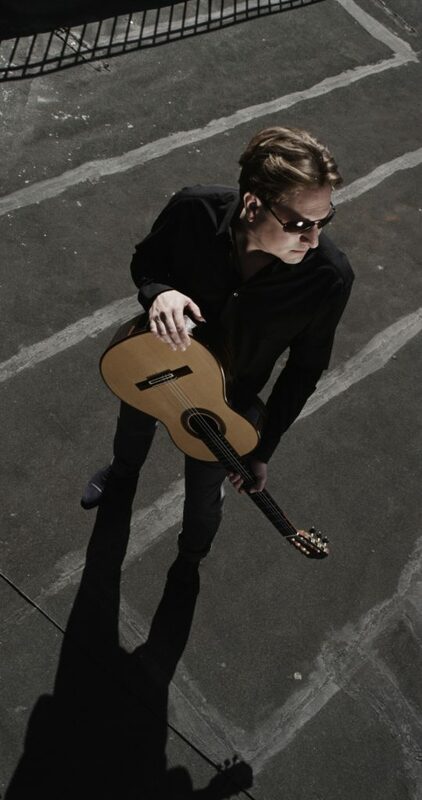 Jason Vieaux, “among the elite of today’s classical guitarists” (Gramophone), is the classical guitarist that goes beyond the classical. He has earned a reputation for putting his expressive gifts and virtuosity at the service of a remarkably wide range of music, and his schedule of concerto, recital, chamber music, teaching and recording commitments is distinguished with return engagements throughout the U.S. and abroad. An award-winning artist from an early age, Vieaux won a Grammy Award in 2015 for his acclaimed cd, PLAY. 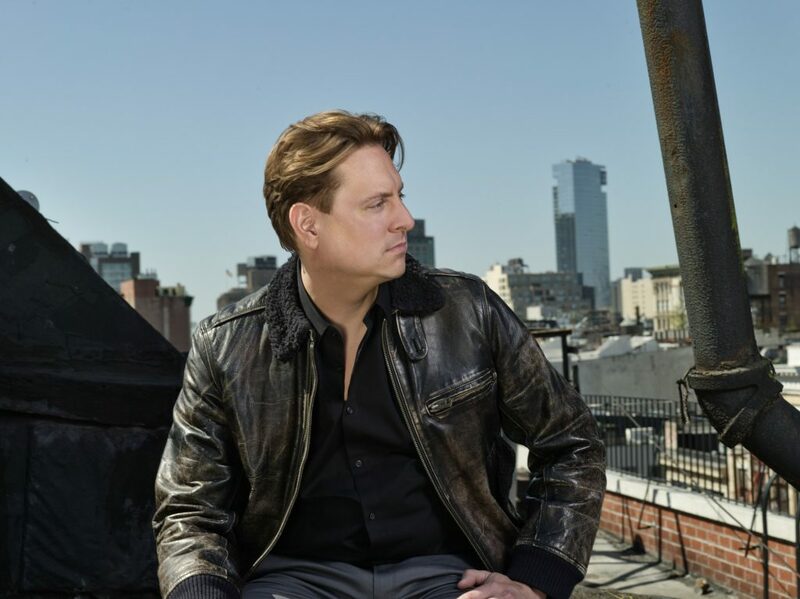 A sought-after concerto soloist, Jason Vieaux enjoys high praise for his performances of the beloved Rodrigo ‘Aranjuez’ concrto and a wide range of repertoire beyond. Recent appearances with dozens of symphony orchestras include concertos of Rodrigo, Ponce, Castelnuovo-Tedesco, Vivaldi, Piazzolla and Corigliano. 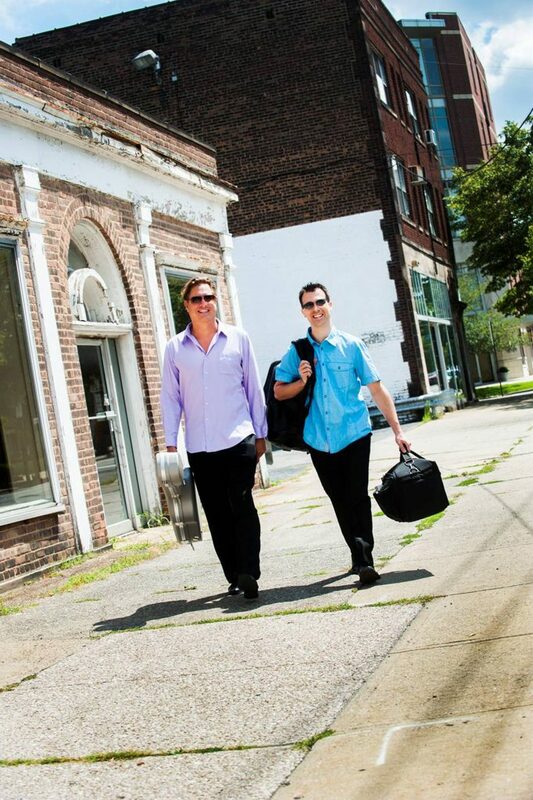 In the last two seasons, Jason Vieaux has premiered works written for him by Jeff Beal and by Dan Visconti — whose guitar concerto was commissioned for Jason by a consortium of U.S. orchestras. In 2018 the BIS label will release his recording of Jeff Beal’s ‘Six Sixteen’ with the Norrköping Symphony Orchestra, paired with Beal’s House of Cards Symphony. Slated for release on Naxos Records is his recording with the Nashville Symphony of Jonathan Leshnoff’s new guitar concerto, to be paired with Leshnoff’s 4th Symphony. 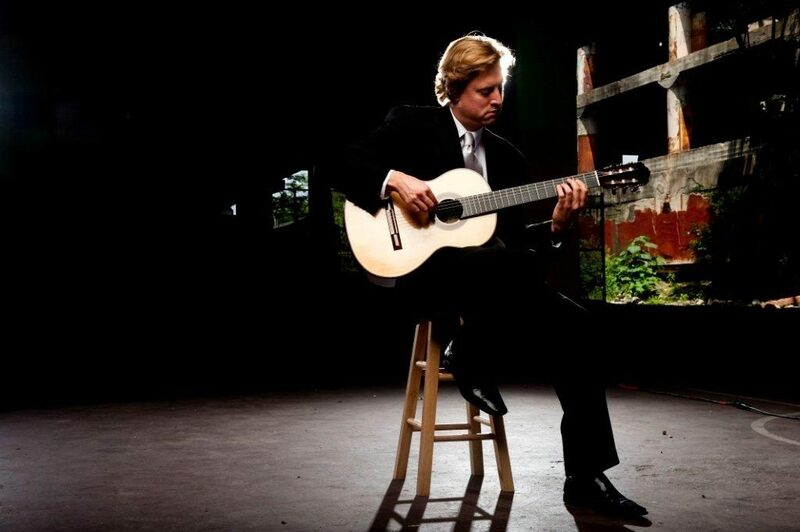 Vieaux’s solo recitals have been a feature at every major guitar series in North America, as well as many of the important guitar festivals in Asia, Australia, Europe, and Mexico. 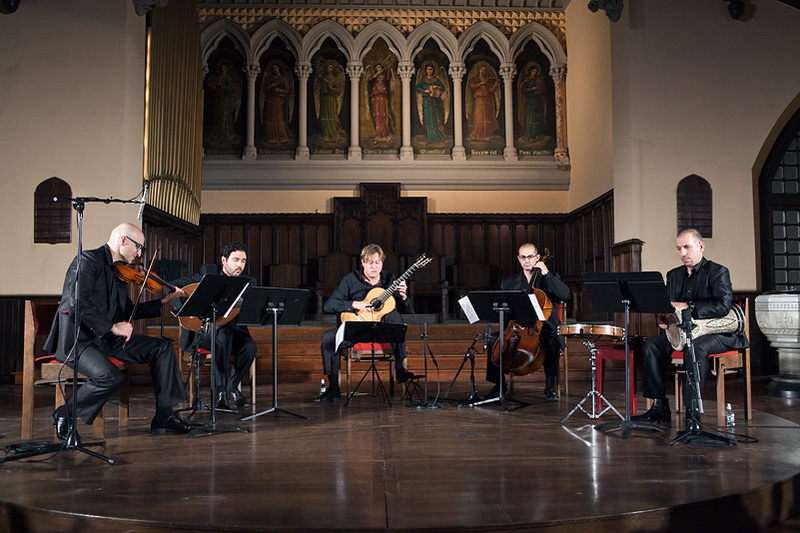 Recent and highlights include returns to the Caramoor Festival, Philadelphia Chamber Music Society, and New York’s 92nd Street Y, as well as appearances from Changsha to Cartagena, Buenos Aires and Seoul. Vieaux’s appearances for Chamber Music Society of Lincoln Center, Music@Menlo, Strings Music Festival, Grand Teton, and many others have forged his reputation as a first-rate chamber musician and programmer. He collaborates in recitals this season with Escher Quartet☨, acclaimed harpist Yolanda Kondonassis*, accordion/bandoneón virtuoso Julien Labro, and next season with Billboard top-selling violinist Anne Akiko Meyers. Vieaux’s passion for new music has fostered premieres of works by Dan Visconti, David Ludwig, Jerod Tate, Eric Sessler, José Luis Merlin, Vivian Fung and Gary Schocker. Jason Vieaux has performed as concerto soloist with nearly 100 orchestras, including Cleveland, Houston, Toronto, San Diego, Ft. Worth, Columbus, Santa Fe, Charlotte, Buffalo, Grand Rapids, Kitchener-Waterloo, Richmond, Edmonton, IRIS Chamber, Chamber Orchestra of Philadelphia, Chautauqua Festival, and New Hampshire Music Festival. Among the conductors he has worked with are Giancarlo Guerrero, David Robertson, Miguel Harth-Bedoya, Jahja Ling, Rossen Milanov, Stefan Sanderling, Michael Stern, David Lockington, Steven Smith, and Edwin Outwater. Vieaux continues to bring important repertoire alive in the recording studio as well. Beyond his Grammy-winning album, PLAY, Jason has an additional twelve commercial CDs including the new Jeff Beal Six Sixteen with the Norrköping Symphony Orchestra on the BIS label; Together with harpist Yolanda Kondonassis; Piazzolla with Julien Labro and A Far Cry Chamber Orchestra; Bach: Works for Lute, Vol.1; Sevilla: The Music of Isaac Albeniz, and Images of Metheny featuring music by American jazz legend Pat Metheny, who, after hearing this landmark recording, declared: “I am flattered to be included in Jason’s musical world.” His second CD with accordionist Julien Labro, Infusion, is acclaimed as “high priority listening” by Midwest Record. His next chamber music CD will celebrate Jason’s ongoing collaboration with the Escher Quartet, due out soon on Azica and his next orchestral recording will feature the new Jonathan Leshnoff Guitar Concerto with Giancarlo Guerrero and the Nashville Symphony on Naxos. Discography. 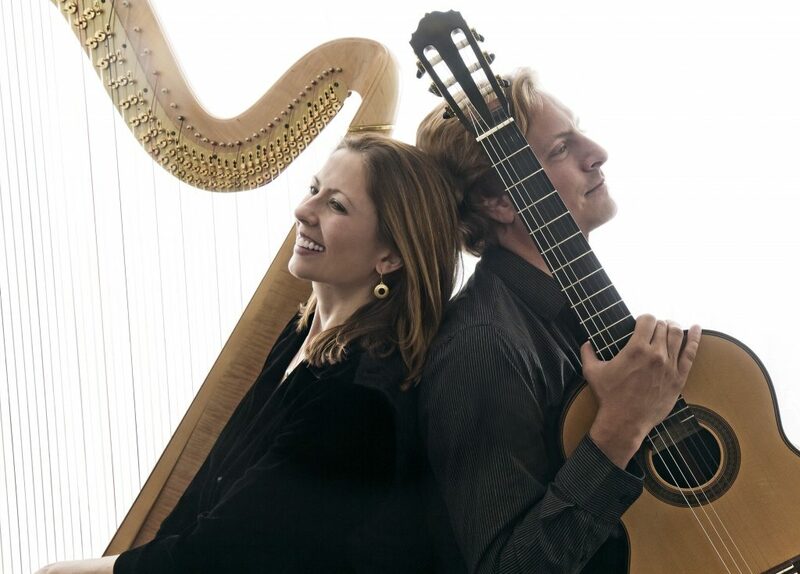 In 2012, the Jason Vieaux School of Classical Guitar was launched with ArtistWorks Inc., an unprecedented technological interface that provides one-on-one online study with Vieaux for guitar students around the world. In 2011, he co-founded the guitar department at The Curtis Institute of Music, and he has taught at the Cleveland Institute of Music since 2001. For more information, visit www.jasonvieaux.com; Jason is tweeting @JasonVieaux, and his Facebook fan page is www.facebook.com/jasonvieaux. 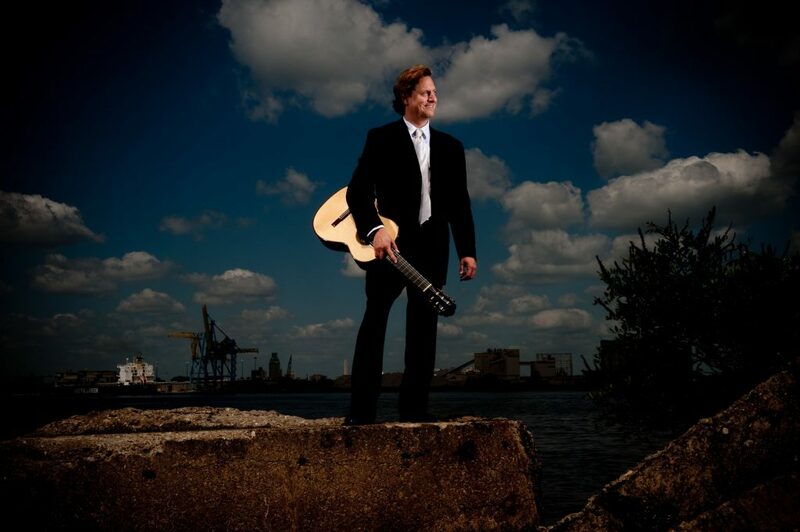 April 2019: Jason Vieaux’s latest recording is the world premiere of Jonathan Leshnoff’s Guitar Concerto with the Nashville Symphony, slated for release on May 2nd (Naxos). Upcoming releases include a new album with the Escher String Quartet and a new solo Bach recording, both on Azica. Recent performance highlights duo concerts with violinist Anne Akiko Meyers and with harpist Yolanda Kondonassis, a spring tour of coast-to-coast solo recitals, including his debut at the Virginia Arts Festival, and his Masterworks Series performances with the Knoxville Symphony, performing Rodrigo’s Concierto de Aranjuez. “[Vieaux] makes everything look and sound easy. An uncommonly relaxed figure onstage, he seems immersed entirely in the moment. Every note comes out fully formed, but nothing he does feels premeditated, and the music, just a little understated, speaks eloquently for itself.